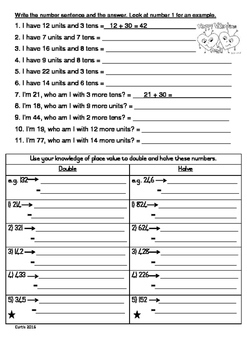 Worksheet for grade 3 term 1. Uses knowledge of place value to build up numbers. 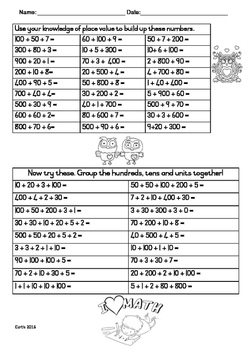 Also has horizontal doubling and halving using place value. Children break up the number on the first line and then halve or double the number on the second line, then they add the numbers together.